Our grocery stores are jam-packed with food. And yet, when you look around, you realize that there isn’t all that much variety. In fact, 75% of our food comes from 17 plant and 5 animal species. There are some absolutely gorgeous varieties of heritage tomatoes (Pink Boar, Spudakee, Absinthe), but you won’t find them in any supermarket. If you want to try growing them yourself, you’ll have to hunt for seeds because 10 corporations control more than 73% of the global seed market and they’re selecting varieties for yield, uniformity, and performance – not flavour or beauty. Across North America, gardeners are realizing that if we want to protect the biodiversity of our fruits and vegetables, we’ll have to start saving and sharing the seeds ourselves. 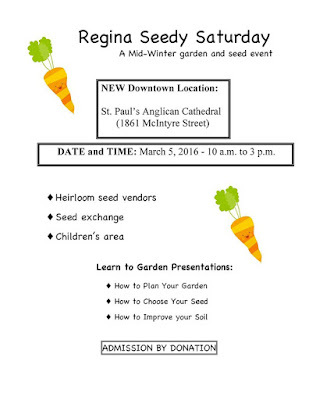 Saskatoon became part of this movement with the establishment of the Saskatoon Seed Library in 2015. Seed libraries are designed to share regionally adapted, heritage seeds. 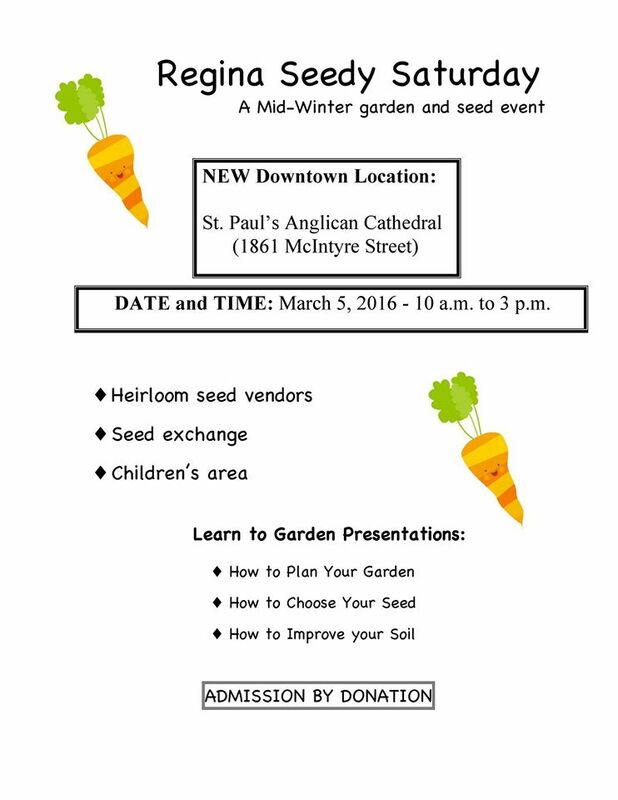 You’re given some seeds, grow them, save seeds at harvest time, and pass them along. In the process, you expand the varieties of seed that are available, increase plant resilience, and build a local gardening community. In its first year, the Saskatoon Seed Library grew 5 heritage vegetable varieties that are adapted to our local growing environment. 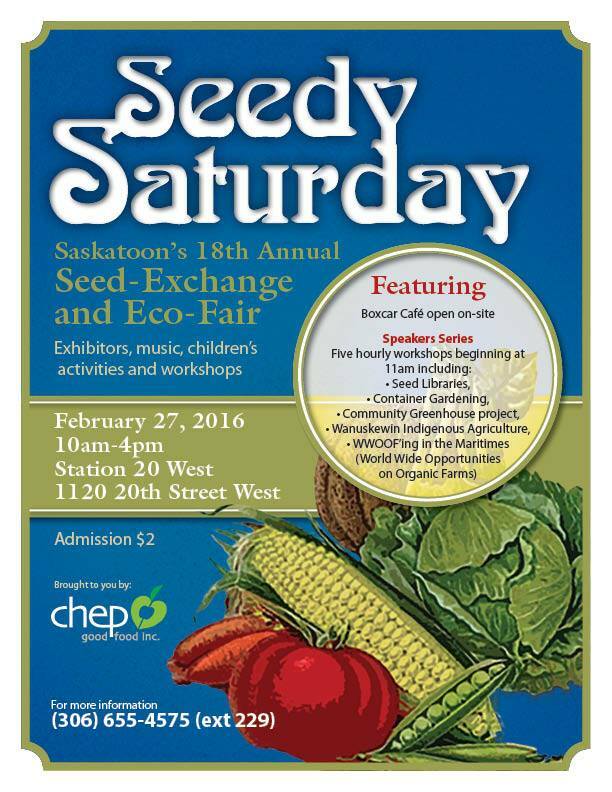 They dried and saved the seeds and will be offering them to new gardeners and seed savers at Saskatoon’s Seedy Saturday on February 27 at Station 20 West. 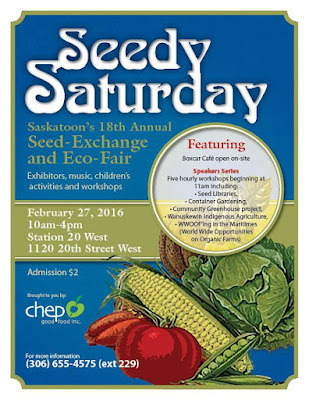 The Saskatoon Food Council will be showing the film, Seeds of Time, at 7 pm, Feb. 25, at Station 20 West. The film tells the story of Cary Fowler’s efforts to protect biodiversity and food security. Fowler was the Executive Director of the Global Crop Diversity Trust from 2005-2012 and was instrumental in establishing the Svalbard Global Seed Vault.